Thank you to C.C. 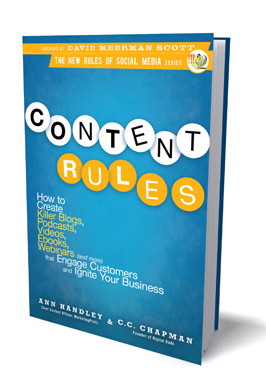 Chapman, co-author of Content Rules, for joining us on Wednesday, April 27th as our guest for our Social Media Book Club April Webinar. We had some great audience interaction and appreciated all the question our members had related to improving their content and mistakes to avoid. C.C. shared some great artists, brands and individuals who are effectiving creating compelling stories that attract an audience. 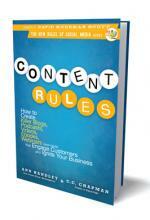 I highly encourage you to pick up a copy, as the book helps any Professional, no matter what level their expertise. Listen the recorded webinar and please connect with C.C. Chapman on Twitter, @cc_chapman or visit ContentRulesBook.com.